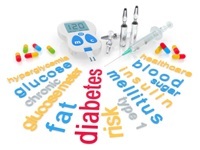 Home » Diabetes Tips » Can This Prevent Diabetes? In most cases, progressing to a diagnosis of full-blown type 2 diabetes is a process that takes a variable amount of time. In my opinion, it’s really just a natural progression in the disease process from pre-diabetes to diabetes. This process is timesensitive but also occurs depending upon other factors, namely your lifestyle dynamics. Some recent research published in the Journal of Clinical Endocrinology & Metabolism may be very revealing in this regard. Researchers looked at 1,645 subjects with pre-diabetes and a body mass index (BMI) of 33.5-33.7. They randomly assigned these participants into three groups. Group one received intensive lifestyle changes including the intake of a low-fat diet and an exercise program; group two received the drug Metformin; and group three received a placebo. The researchers took blood samples at the beginning of the study and again at 12 months and compared each for various metabolic changes occurring over the 12-month period. The results indicated that the group who received the intensive lifestyle intervention had significantly lowered their blood levels of the dangerous VLDL and LDL cholesterol and had raised their blood levels of the “good” HDL cholesterol. These subjects also experienced significant reductions in blood triglyceride. The subjects in group two also experienced this effect but it was modest in comparison. In my opinion, this is very optimistic research because the progression to full-blown diabetes in a high risk group was curtailed successfully with the implementation of a diet and exercise regimen. In addition, the positive changes in blood fat levels in the group receiving the lifestyle intervention were realized after just one year. This study clearly indicates that the decrease in BMI and the degree of insulin resistance made a significant difference in the risk of developing type 2 diabetes and the progression of cardiovascular disease in a group of people suffering from metabolic syndrome. This message is as important as it is relevant since the metabolic syndrome is an epidemic and the progression to full-blown diabetes seems inevitable in many cases. In my opinion, it is never too late to implement lifestyle changes in order to modify risk factors for more serious disease states. Remember, the subjects in this study were overweight, not obese and only lost on average seven percent of their body fat. Had the subjects been much heavier and the lifestyle intervention more detailed and continued for a longer period of time, the results may have been quite revealing indeed! Horton, E., et al., “Lifestyle and Metformin Treatment Favorably Influence Lipoprotein Subfraction Distribution in the Diabetes Prevention Program,”The Journal of Clinical Endocrinology & Metabolism. August26, 2013.